Will They Extradite Me Back to Florida? Do You Have Outstanding / Active Pinellas County Warrants? If you have an active arrest warrant in St. Petersburg, Clearwater, or other area of Pinellas County, call (727) 578-0303. We are “active warrant” pinellas county lawyers who can help! Immediately conduct a Pinellas County Sheriff’s arrest warrant check. Determine the amount of your bond. Tell you the nature of the criminal charge associated with the warrant and why the warrant was issued. Consult regarding the underlying facts of the case and determine possible defenses. Discuss the possibilty of withdrawing your warrant without the need for you to return to Pinellas County. Implement a strategy designed to dispose of the warrant and avoid your untimely arrest by the police. Watch our video to learn how we can help you resolve an Outstanding Pinellas County Arrest Warrant. OPTION #1: We can encourage your judge to withdraw your warrant. Your St. Petersburg / Clearwater attorney can request a bond reduction or a release on your own recognizance. An “R.O.R.” is a release without bond, and is solely based upon your promise to faithfully make all future court appearances. We can coordinate a court date that is convenient for you to appear in court. Your subsequent cooperation in voluntarily coming before the court demonstrates that your responsible nature and earns you great credibility. The Pinellas County judge may conclude that you are not a flight risk if you have appeared in court to address the warrant and taken the time and expense to hire an attorney. In many cases we can be quite successful in quickly resolving your outstanding arrest warrant. We may be able to offer you advice on accomplishing tasks in advance of your appearance before the Pinellas County Judge that will cast your case in the best possible light. Our office routinely represents individuals facing an outstanding arrest warrant issued for offenses alleged to have occurred in St. Petersburg, Clearwater, or other areas of Pinellas County. Our experience in handling these local matters offers us insight into the best strategy and methods for presenting your case to the court. If your warrant is associated with a St. Petersburg / Clearwater misdemeanor or criminal traffic offense and you reside outside Pinellas County, your attorney can petition the Court to withdraw the arrest warrant without the need for you to return. You have reason to believe that if you are apprehended outside the State of Florida, the Pinellas County authorities would not extradite you. OPTION #2: Post a surety bond through a licensed Florida bail bond agency. Assuming that you already have a bond on the warrant, you may be able to use a bail bondsman. 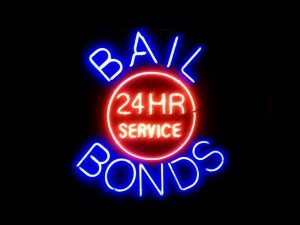 If you use a bail bondsman to post a “surety” bond, you will be charged a standard non refundable 10% premium of the bond amount. For instance, if the bond on your Pinellas County warrant is set by the Court at $5,000.00, you will be required to pay the Bondsman a non refundable fee of $500.00. Depending on the size of your bond, and other circumstances, a bail bondsman may also require you to provide collateral for the bond. For example, if you have equity in your home or an automobile that equals or exceeds the full bond amount, a lien can be placed against such property in favor of the bondsman. Your subsequent failure to appear in Court would, of course, subject you to the loss of that collateral. If a Bail Bondsman posts a surety bond on your behalf it is important that you comply with any and all conditions that he may impose upon you. (For example, maintaining regular contact with his office, not leaving the St. Petersburg / Clearwater area without permission, changing your residence/employment without notification, etc.) Your failure to comply with all conditions of your surety bond could subject you to a revocation of the bond, re-arrest on the original charge, and immediate incarceration within the Pinellas County Jail. We can discuss the facts of your case and recommend whether the use of a bondsman may be in your best interest. For example, sometimes we can reduce the bond by appearing before the Judge and then have the bondsman post a surety bond on that reduced amount. If you need to get a bondsman involved we can recommend a bondsman in the St. Petersburg / Clearwater area and coordinate the processing of a surety bond with him. Having an attorney on your case will often assure the bondsman of your commitment to faithfully appear in court. This could translate into a greater willingness on the part of the bondsman to post a bond on your behalf. OPTION #3: Surrender yourself to the Pinellas county jail and pay a cash bond. Assuming that the judge has already set a bond on your warrant and you are financially able to post the entire bond amount, you can do so by bringing the cash to the Pinellas County Jail. The jail authorities will not accept checks or credit cards. 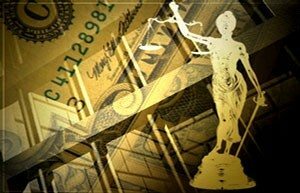 The terms and conditions of a cash bond provide that the Pinellas County Court will later apply any or all of your cash bond amount against any fines, court costs, or other financial obligations that might be imposed later at the time of sentencing. Otherwise, a person who posts a cash bond and subsequently makes all required court appearances, is entitled to a refund of the cash amount posted. We can arrange for you to surrender yourself on the warrant so as to expedite your booking process and secure a prompt release from jail by posting the cash bond. We can help expedite your release by insuring that your surrender doesn’t occur during a time when the jail is in a lockdown phase because of a detention deputy shift change. Pinellas County Judges will often assign a “no bond” status on arrest warrants associated with violations of felony probation or house arrest. Warrants issued on a misdemeanor violation of probation may or may not have a bond amount associated with the warrant. A “no bond” warrant is often issued if the basis of the violation is associated with a new arrest or new criminal charge. If your warrant carries a “no bond” status it means that the Pinellas County Jail is not authorized to release you under any circumstances. Your best course of action is to retain a St. Petersburg / Clearwater / Pinellas attorney who can schedule a formal bond hearing and make application to the Pinellas County Court for a Release on your own Recognizance. An “R.O.R.” is a release without bond, and is solely based upon your promise to faithfully make all future court appearances. 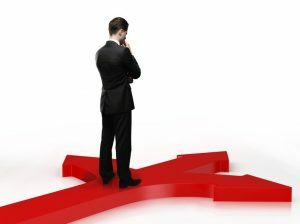 In many cases the Court will grant the attorney’s request for an R.O.R. to a client who has pre-emptively taken the initiative to hire a lawyer so as to resolve the outstanding warrant. Even in cases where the Court is unwilling to grant an R.O.R., the judge can often be persuaded to set a reasonable bond amount since you have taken the initiative and shown good faith by appearing in court with an attorney (as opposed to having been “picked up” on the outstanding warrant). The Pinellas County Sheriff’s Office has approximately 12,600 active felony warrants and 25,400 active misdemeanor warrants. Our office estimates these numbers to have been reduced by approximately 30% since Sheriff Gualtieri has taken office. The Sheriff has carried through with his 2012 campaign promise to increase personnel in the PCSO Warrants Division and to allocate greater resources to locating wanted individuals. Sometimes, law enforcement will engage in organized “warrant sweeps” that are designed to reduce these numbers. The St. Petersburg, Clearwater, Pinellas Park, Gulfport, and Treasure Island police departments have been known to work jointly with the Pinellas County Sherriff’s Office to locate fugitives. These police officers are often assisted by additional personnel from the United States Marshall Service, the Florida Department of Law Enforcement and the FBI. Sweeps are typically conducted over a 24 hour period and involve in excess of 150 law enforcement personnel who are actively engaged in the search. When Dealing with an Active Warrant, Time is of the Essence! Your arrest on the outstanding warrant by law enforcement can be untimely and embarrassing. Especially if it should occur at the work place, in front of neighbors, or worse yet, in the presence of young family members. Being arrested on a Florida warrant in a sister state could present additional problems associated with the cumbersome process involved in extradition proceedings. It is therefore important to act quickly. Much credibility with a Pinellas County Court Judge may be achieved by immediately and voluntarily having your lawyer resolve the warrant issue. This course of action is far superior than having to appear in court as a captured fugitive. Call our office to learn how we can help. We can discuss the best course of action to deal with your outstanding Pinellas County warrant. We can also counsel you on strategies designed to satisfactorily resolve your entire case. The consultation is free and completely confidential. Call us at (727) 578-0303. The search results you obtain are delivered from the online records of the Florida Department of Law Enforcement (FDLE). Although, these are the same records accessed by law enforcement, you cannot always consider this information to be current, accurate, complete, or represent a definitive answer to your inquiry. 4) The warrant could be indexed by the FDLE, but it does not return a search result due to the fact that it is associated with an alias, incorrectly spelled name, or another search variable that makes it difficult to formulate proper search criteria. Will the State of Florida Extradite Me on a Warrant?